Step into the mind of Sleepy Loco. Young up and coming artist from Memphis. For the time being, is story within a story, as Loco explains his humble beginnings. From being a raised right but eventually took chances to make a way for his family. Coming from Memphis, Sleepy look to invite you into his life with this project by providing stories, realities of certain situations that created this title. 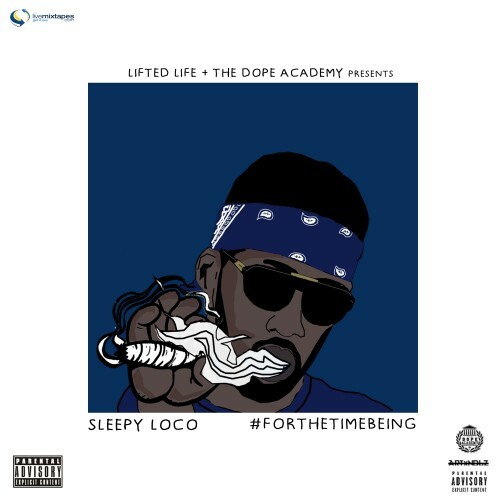 Lifted Life and The Dope Academy teamed up and executively hand picked this project piece by piece, enjoy. Follow @IndyTapes, @DJElPlaga, @Liftedliftent, @TheDopeAcademy & @OGSleepyLoco! #In&Out I'm ****ing with it!!! Big Homie Killed this Tape! Sleepy Loco is a name to remember! !